Former President George W. Bush spoke at the closing session of the convention. Bush defended approving the bridge loans that kept General Motors and Chrysler Group alive during the 2008 U.S. financial crisis. 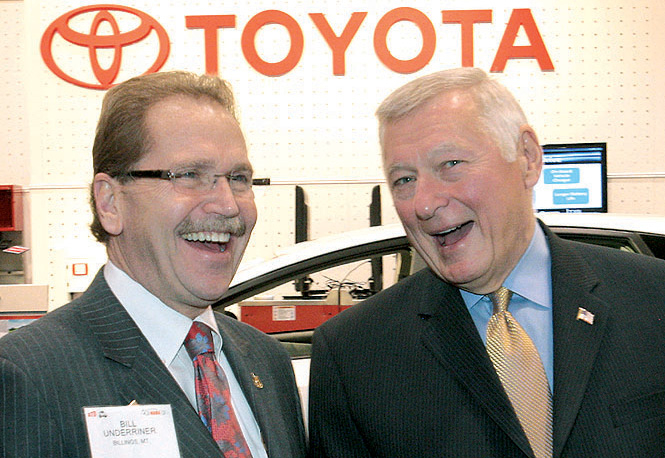 Also shown is 2011 NADA Chairman Stephen Wade. Panelists at the J.D. 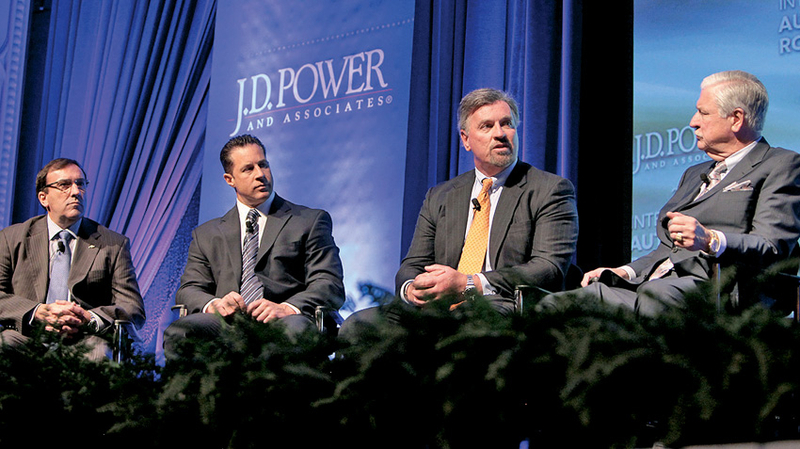 Power International Automotive Roundtable discussed factory demands for dealership improvements. From left are: Alan Batey, vice president of Chevrolet sales and service; Reid Bigland, Chrysler Group's head of U.S. sales; Dave Zuchowski, executive vice president of sales for Hyundai Motor America; and Stephen Wade, 2011 NADA chairman. 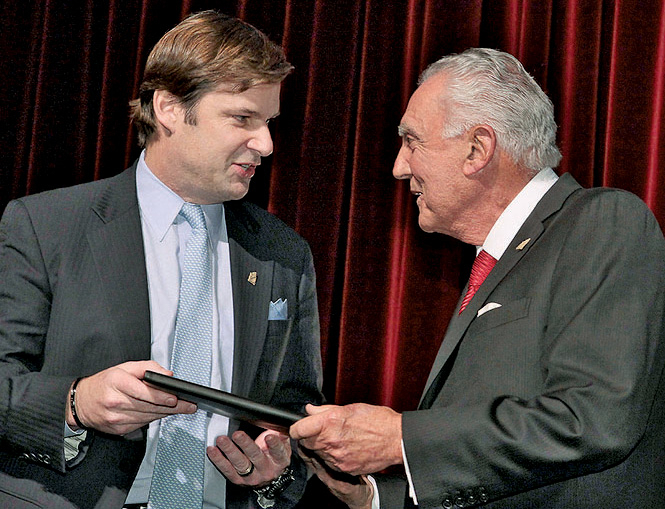 Jim Farley, left, Ford's marketing chief, presents an award to dealer Gus Machado at Ford's Salute to Dealers celebration, which honors dealers who serve their communities. Machado, 77, has Ford dealerships in Hialeah, Fla., and Kendall, Fla., and has supported charities that benefit schools and cancer research. 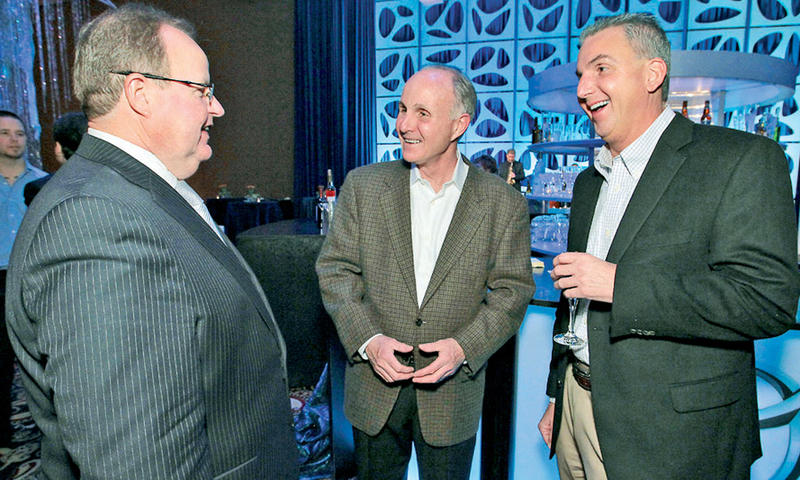 Jim O'Sullivan, left, CEO of Mazda North American Operations, chats with dealers Thomas Carey of Ramsey Mazda in Des Moines, Iowa, center, and Mike Hollingsworth of Hollingsworth Richards Mazda in Baton Rouge, La., during the Mazda reception. 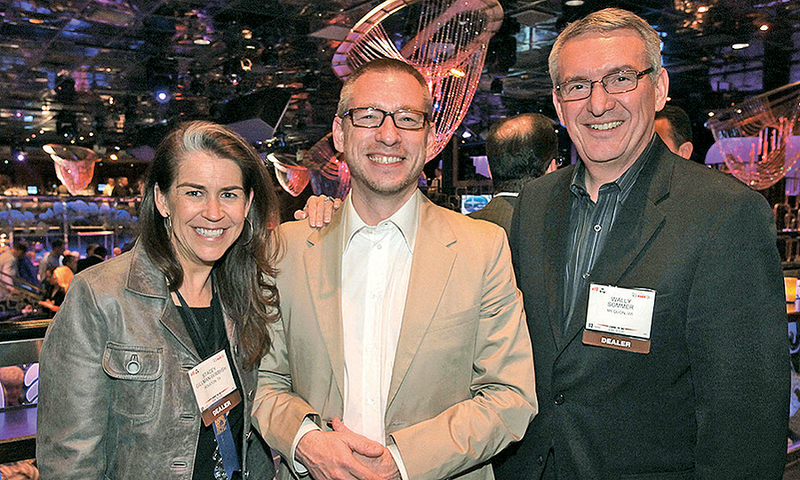 Dean Evans, center, chief marketing officer at Subaru of America, enjoys the Subaru reception with Stacey Gillman Wimbish of Gillman Cos. of Houston and Wally Sommer of Sommer's Subaru of Mequon, Wis.
Dealer Dan Leahy of Boston Volvo cheers on the New England Patriots during the Super Bowl. 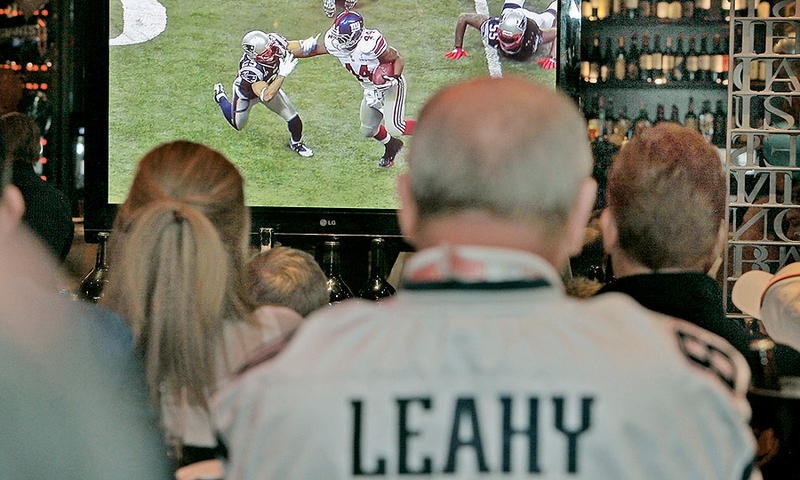 Leahy watched the game at the Volvo reception. 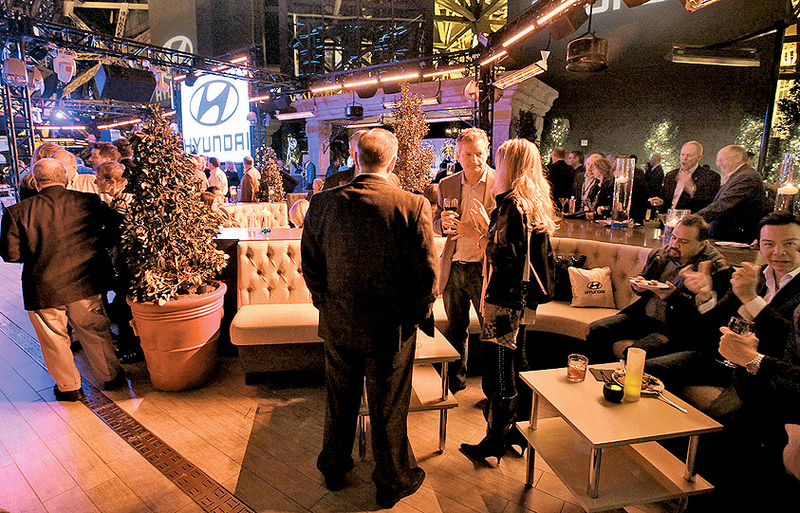 Dealers enjoy the outdoor setting of Hyundai's reception at Chateau Nightclub & Gardens at the Paris Las Vegas Hotel. The party featured the Las Vegas band Low Key. 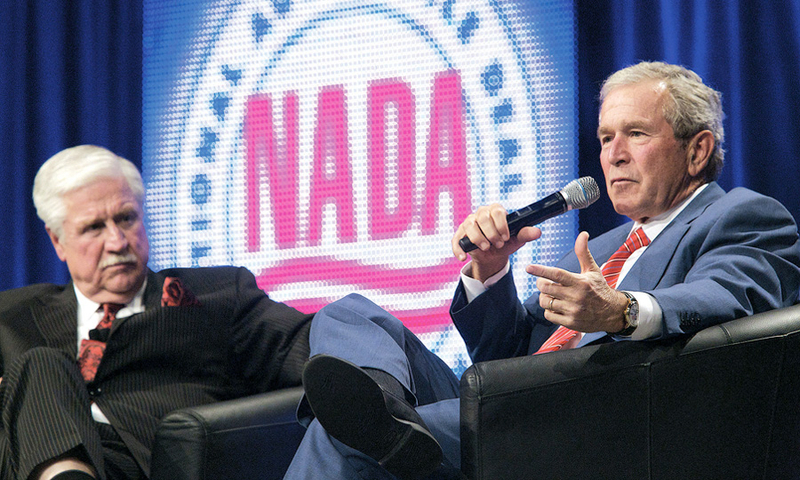 The National Automobile Dealers Association Convention and Exposition draws dealers, auto industry executives and others for encounters that range from the exchange of ideas to recognition for achievements to the sharing of good times. Here's a look at some of what happened in Las Vegas.